First Council of Nicaea 325 (May 20-June 19) Emperor Constantine I Hosius of Corduba (and Emperor Constantine) 318 Arianism, the nature of Christ, celebration of Passover (Easter), ordination of eunuchs, prohibition of kneeling on Sundays and from Easter to Pentecost, validity of baptism by heretics, lapsed Christians, sundry other matters. Council of Chalcedon 451 (October 8-November 1) Emperor Marcian A board of government officials and senators, led by the patrician Anatolius 520 The judgments issued at the Second Council of Ephesus in 449, the alleged offences of Bishop Dioscorus of Alexandria, the relationship between the divinity and humanity of Christ, many disputes involving particular bishops and sees. The Council was opposed by the Arians, and Constantine tried to reconcile Arius, after whom Arianism is named, with the Church. Even when Arius died in 336, one year before the death of Constantine, the controversy continued, with various separate groups espousing Arian sympathies in one way or another. In 359, a double council of Eastern and Western bishops affirmed a formula stating that the Father and the Son were similar in accord with the scriptures, the crowning victory for Arianism. The opponents of Arianism rallied, and the First Council of Constantinople in 381 marked the final victory of Nicene orthodoxy within the Empire, though Arianism had by then spread to the Germanic tribes, among whom it gradually disappeared after the conversion of the Franks to Christianity in 496. 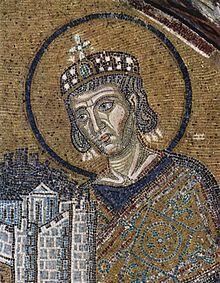 In 331, Constantine I commissioned Eusebius to deliver fifty Bibles for the Church of Constantinople. Athanasius (Apol. Const. 4) recorded Alexandrian scribes around 340 preparing Bibles for Constans. Little else is known, though there is plenty of speculation. For example, it is speculated that this may have provided motivation for canon lists, and that Codex Vaticanus and Codex Sinaiticus are examples of these Bibles. Together with the Peshitta and Codex Alexandrinus, these are the earliest extant Christian Bibles. The council approved what the current form of the Nicene Creed as used in most Oriental Orthodox churches is. The Eastern Orthodox Church uses the council's text but with the verbs expressing belief in the singular: Πιστεύω (I believe) instead of Πιστεύομεν (We believe). The Latin Rite of the Catholic Church also uses the singular and, except in Greek, adds two phrases, Deum de Deo (God from God) and Filioque (and the Son). The form used by the Armenian Apostolic Church, which is part of Oriental Orthodoxy, has many more additions. This fuller creed may have existed before the Council and probably originated from the baptismal creed of Constantinople. The council did not include Western bishops or Roman legates, but it was later accepted as ecumenical in the West. Theodosius II called the council to settle the christological controversy surrounding Nestorianism. Nestorius, Patriarch of Constantinople, opposed use of the term Theotokos (Greek Η Θεοτόκος, "God-Bearer"). This term had long been used by orthodox writers, and it was gaining popularity along with devotion to Mary as Mother of God. He reportedly taught that there were two separate persons in the incarnate Christ, though whether he actually taught this is disputed. The council deposed Nestorius, repudiated Nestorianism, and proclaimed the Virgin Mary as the Theotokos. After quoting the Nicene Creed in its original form, as at the First Council of Nicaea, without the alterations and additions made at the First Council of Constantinople, it declared it "unlawful for any man to bring forward, or to write, or to compose a different (ἑτέραν) Faith as a rival to that established by the holy Fathers assembled with the Holy Ghost in Nicæa." The council repudiated the Eutychian doctrine of monophysitism, described and delineated the "Hypostatic Union" and two natures of Christ, human and divine; adopted the Chalcedonian Definition. For those who accept it (Eastern Orthodox, Roman Catholics, and most Protestants), it is the Fourth Ecumenical Council (calling the Second Council of Ephesus, which was rejected by this council, the "Robber Synod" or "Robber Council"). In November 448, a synod at Constantinople condemned Eutyches for unorthodoxy. Eutyches, archimandrite (abbot) of a large Constantinopolitan monastery, taught that Christ was not consubstantial with humanity. This council condemned certain writings and authors which defended the christology of Nestorius. This move was instigated by Emperor Justinian in an effort to conciliate the monophysite Christians, it was opposed in the West, and the Popes' acceptance of the council caused a major schism. Prior to the Second Council of Constantinople was a prolonged controversy over the treatment of three subjects, all considered sympathetic to Nestorianism, the heresy that there are two separate persons in the Incarnation of Christ. Emperor Justinian condemned the Three Chapters, hoping to appeal to miaphysite Christians with his anti-Nestorian zeal. Monophysites believe that in the Incarnate Christ there is only one nature (i.e. the divine) not two while miaphysites believe that the two natures of Christ are united as one and are distinct in thought only. Eastern Patriarchs supported the Emperor, but in the West his interference was resented, and Pope Vigilius resisted his edict on the grounds that it opposed the Chalcedonian decrees. Justinian's policy was in fact an attack on Antiochene theology and the decisions of Chalcedon. The pope assented and condemned the Three Chapters, but protests in the West caused him to retract his condemnation. 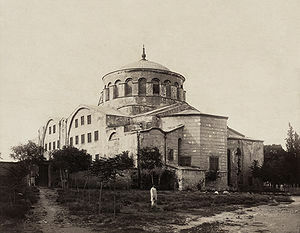 The emperor called the Second Council of Constantinople to resolve the controversy. The council, attended mostly by Eastern bishops, condemned the Three Chapters and, indirectly, the Pope Vigilius. It also affirmed Constantinople's intention to remain in communion with Rome. Vigilius declared his submission to the council, as did his successor, Pope Pelagius I. The council was not immediately recognized as ecumenical in the West, and Milan and Aquileia even broke off communion with Rome over this issue. The schism was not repaired until the late 6th century for Milan and the late 7th century for Aquileia. Emperor Justinian's policy failed to reconcile the Monophysites. Third Council of Constantinople (680–681): repudiated monothelitism, a doctrine that won widespread support when formulated in 638; the Council affirmed that Christ had both human and divine wills. Quinisext Council (= Fifth-Sixth Council) or Council in Trullo (692) has not been accepted by the Roman Catholic Church. Since it was mostly an administrative council for raising some local canons to ecumenical status, establishing principles of clerical discipline, addressing the Biblical canon, without determining matters of doctrine, the Eastern Orthodox Church does not consider it to be a full-fledged council in its own right, viewing it instead as an extension of the fifth and sixth councils. It gave ecclesiastical sanction to the Pentarchy as the government of the state church of the Roman Empire. Second Council of Nicaea (787). In 753, Emperor Constantine V convened the Synod of Hieria, which declared that images of Jesus misrepresented him and that images of Mary and the saints were idols. The Second Council of Nicaea restored the veneration of icons and ended the first iconoclasm. In the 9th century, Emperor Michael III deposed Patriarch Ignatius of Constantinople and Photius was appointed in his place. Pope Nicholas I declared the deposition of Ignatius invalid. After Michael was murdered, Ignatius was reinstated as patriarch without challenge and in 869–870 a council in Constantinople, considered ecumenical in the West, anathematized Photius. With Ignatius' death in 877, Photius became patriarch, and in 879–880 another council in Constantinople, which many Easterners consider ecumenical, annulled the decision of the previous council. ^ "They renounced their false opinions and died in peace with the Church." (Russian: "отказались от своих ложных мнений и скончались в мире с Церковью.") Slobodskoy, Serafim Alexivich (1992). "Short Summaries of the Ecumenical Councils". The Law of God. OrthodoxPhotos.com. Translated by Price, Susan. Holy Trinity Monastery (Jordanville, New York). ISBN 978-0-88465-044-7. Archived from the original on 18 June 2018. Retrieved 10 March 2019. Original: Слободской, Серафим Алексеевич (1957). "Краткие сведения о вселенских соборах" [Short Summaries of the Ecumenical Councils]. Закон Божий [The Law of God]. Православная энциклопедия Азбука веры | православный сайт (in Russian) (published 1966). Archived from the original on 25 July 2017. Retrieved 10 March 2019. ^ Diehl, Charles (1923). "1: Leo III and the Isaurian Dynasty (717-802)". In Tanner, J. R.; Previté-Orton, C. W.; Brooke, Z. N. (eds.). The Cambridge Medieval History. IV: The Eastern Roman Empire (717-1453). Cambridge: Cambridge University Press. p. 21. ISBN 9785872870395. Retrieved 2016-02-01. ... Tarasius ... skilfully put forward the project of an Ecumenical Council which should restore peace and unity to the Christian world. The Empress [...] summoned the prelates of Christendom to Constantinople for the spring of 786. ... Finally the Council was convoked at Nicaea in Bithynia; it was opened in the presence of the papal legates on 24 September 787. This was the seventh Ecumenical Council. ^ Schaff's Seven Ecumenical Councils: Introductory Note to Council of Trullo: "From the fact that the canons of the Council in Trullo are included in this volume of the Decrees and Canons of the Seven Ecumenical Councils it must not for an instant be supposed that it is intended thereby to affirm that these canons have any ecumenical authority, or that the council by which they were adopted can lay any claim to being ecumenical either in view of its constitution or of the subsequent treatment by the Church of its enactments." ^ See official Greek translation of the Roman Missal and the document The Greek and Latin Traditions about the Procession of the Holy Spirit by the Pontifical Council for Promoting Christian Unity, which states: "The Catholic Church has refused the addition καὶ τοῦ Υἱοῦ to the formula τὸ ἐκ τοῦ Πατρὸς ἐκπορευόμενον in the Greek text of the Nicene-Constantinopolitan Symbol, even in its liturgical use by Latins"
^ "CHURCH FATHERS: Council of Ephesus (A.D. 431)". ^ "Pentarchy". Encyclopædia Britannica. Retrieved February 14, 2010. "Pentarchy. The proposed government of universal Christendom by five patriarchal sees under the auspices of a single universal empire. Formulated in the legislation of the emperor Justinian I (527–65), especially in his Novella 131, the theory received formal ecclesiastical sanction at the Council in Trullo (692), which ranked the five sees as Rome, Constantinople, Alexandria, Antioch, and Jerusalem".